Another city which included in my Europe trip is Paris. Paris is really a wonderful city and many sightseeing. I stayed about 4 days, but I still unable to visit all the tourist places. Paris metro systems are so excellent, almost every 500m you can find a metro station and you can easily travel to any parts of Paris. During these 4 days, I stayed in Hotel Clarisse. Hotel Clarisse is not located in center of city, but is located a bit far from city, that’s why the price is not very high in high living expenses Paris. Transportation around Hotel Clarisse also very good, so no need to worry how you get to tourist places. 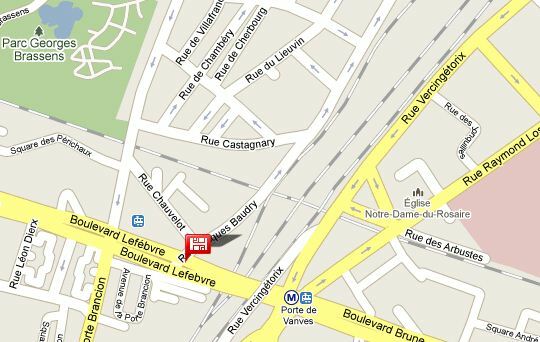 METRO PORTE DE VANVES (Ligne 13) – 384 mètres far from Hotel Clarisse. Hotel Clarisse staffs are very nice, but don’t expect them to speak fluent english, but you can still understand them. Please keep on mind about France and England history, this is 1 of the reason why. But they are very helpful and tried to answer all questions from where you can buy food up to how to travel to any tourist places. Just beside the Hotel Clarisse, there are 1 restaurant, 1 supermarket, and 1 bread shop which are in the vicinity of Hotel Clarisse, about 10-50m far away. However, 1 thing to point out, their room key is just a simple key. Every time when you leave the Hotel Clarisse, you must leave the key to the reception counter. Don’t worry, they will not touch your things. If you go to Paris, you can really consider Hotel Clarisse. This entry was posted in Transport & Travel and tagged accommodation, Budget Trip, cheap hotel, Paris Hotel on July 31, 2010 by J.L.. Remember I told you yesterday I moved to another Hamburg hotel from Hotel Mercedes due to fully booked ? And the other hotel I stayed was A&O Hamburg Hammer Kirche, it was one of the top 5 rated Hamburg hostel & hotel in HostelWorld. Let’s me share my experience of my short staying in A&O Hamburg Hammer Kirche. A&O Hamburg Hammer Kirche is a hostel and hotel combination accommodation, I also not quite sure whether it’s hostel or hotel, but it seems to be hotel for me, may be I never stay in high class hotel, so I always dream it’s hotel, but it really gave me a wonderful stay. 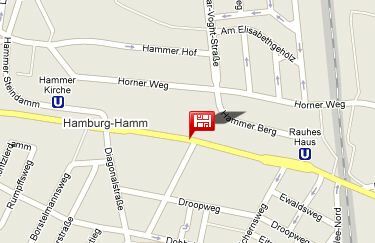 The location of the A&O Hamburg Hammer Kirche is quite good, just follow the direction and can easily find it. When I checked in, the reception staffs are very nice, friendly and helpful. However, due to the hotel still under renovation of some parts, the balcony near the end of the corridor still full with paints and tools, and present some smell. The staffs was appologized to me and did mention their current situation. At the time of my booking, it was €48 per bed for double beds room, now it was from €31 per bed, but please keep on mind that it was during FIFA world cup period, so it’s understandable why the price is higher than usual. In the lobby got few computers come with internet services and I don’t really remember the rate per hour for using the computer. But I’m sure it was not yet equipped the wifi service. Another point to keep on mind that is their check in and check out time. Check in time is 4pm while check out time is 10am or 11am during weekend. I checked in around evening so I don’t know whether it’s new rules or present already during the time i stay. Most hostel and hotel check out and check in time are 12pm and 2pm. If you want to book A&O Hamburg Hammer Kirche for a night, you can click here for more details on pricing. This entry was posted in Transport & Travel and tagged accommodation, Budget Trip, cheap hotel, Hamburg Hotel, Top Rate on July 30, 2010 by J.L..
Few years ago when I started my first Europe trip, Hamburg was one of my favorite destination. Why ? One of the reason is Hamburg is the 2nd-largest city in Germany (second to Berlin) and the 7th-largest city in the European Union. The port of Hamburg is the 3rd-largest port in Europe (3rd to Port of Antwerp and Rotterdam), and the 8th largest in the world. Another reason is Hamburg was one of the FIFA world cup host stadium located in. 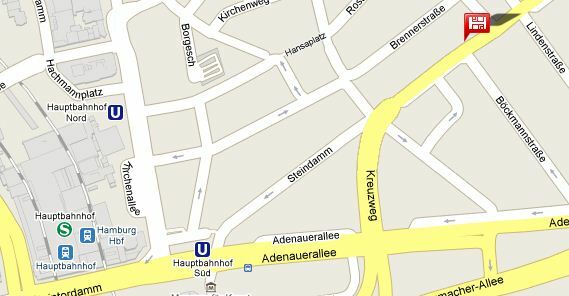 The location of Hotel Mercedes is quite good, but not that good, because you still have to walk around 400m far from train station/airport shuttle bus city station. In front of the hotel you can find some restaurants which sell cheap food. Around 80m far you can find some small market where you can buy fruits or basic needs. Tomorrow we will review another Hamburg Hotel. If you are planning or interested to book Hamburg hotel, you can book here or click ‘Book Your Trip‘ on top of the menu. This entry was posted in Transport & Travel and tagged accommodation, Budget Trip, cheap hotel, Hamburg Hotel on July 29, 2010 by J.L..